If you’ve got an old car that needs to be removed from your garage, driveway, or yard, with no way in sight to get rid of it, give Metro Car Removal a call. Running condition or not running, we can easily remove the eye-sore from your property and free up that much-needed space! We Can Buy Your Old Cars For Cash Fast! We pay you the TOP DOLLARs for your unwanted car, which means more cash for your junk cars!!! Our cash for cars service buys all sorts of vehicles throughout Sydney. Just give us a call to make an appointment. Rather than letting your old, junk car, van or truck sit idle and collect rust and take up your valuable space, cash for cars Sydney will make sure its properly disposed and recycled. Since we’re fully bonded, licensed and insured, you can sit back and relax while we handle each and every phase of junk vehicle removal. Plus, once we’ve successfully removed your car or truck, you can count on cash for cars Sydney to properly dispose of even the last piece of the car in the speediest and most eco-friendly way possible. We will definitely go out of the way to ensure that your unwanted vehicle is responsibly recycled and will do our best to avoid using any landfill. PEACE OF MIND-Our friendly removal team is fully bonded, licensed and insured. NO PRESSURE-Before you agree to sell your unwanted car to us, you will receive a no-obligation quote. There are no hidden charges or towing fee and we will answer all your questions about our fully transparent pricing structure. LAST MINUTE OPTIONS-You’s definitely our priority, and you can count on our same or next day service options to save the day. RELAX & SMILE– You’ll be all smiles because our Cash for Cars team is sure to deliver the most efficient, courteous, and friendly service you’ve ever experienced! Call us today on 0422 600 833 or schedule your free estimate online. It’s easy as 1,2,3! Schedule your FREE estimate online or call us on: 0422 600 833 and one of our friendly representatives will immediately check the local availability and schedule your no-obligation quote at a time that’s convenient for you. Usually, we will call you 15-20 minutes before the scheduled pick-up time. Our professional team members will arrive on time along with the towing truck. They will complete the paperwork and will tow the vehicle away within minutes. We do ALL of the labour and loading no matter where your vehicle is located! 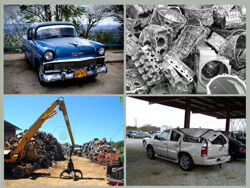 Cars we remove are properly recycled or are donated. Our team will even call you after the job to make sure you’re 100 percent delighted with our service! Why Choose Metro Car Removal To Sell Your Car For Cash In Sydney? 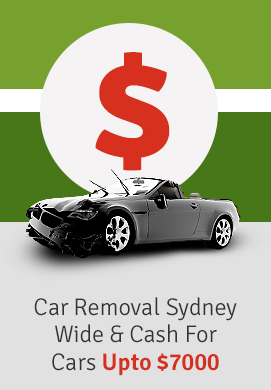 The biggest reason to choose cash for cars Sydney removals is that we’re the Sydney’s most professional and respected vehicle removal service that offers top dollar for rusted junk car removal in Sydney. Call us and receive cash up to $7000 for your unwanted cars. We’ve been in this business for years and have been serving the community tirelessly. We are one of the largest car removals in Sydney covering Inner West, Eastern Suburbs, Southern Sydney, Western Sydney and Northern Suburbs. We can provide our customers with prompt service for their unwanted car removals. When you choose cash for scrap cars Sydney for removing your old vehicle, you’re never charged any towing fee. All our car removals are completely free and we pay the quoted cash immediately before we tow it away. Our scrap removals are friendly and fast and most of all they’re hassle-free. With us, you never have to be concerned about taking time from your busy day to meet our removal specialists, as our team work around the clock, 24 hours a day, 365 days a year to ensure we’re available when you are!! We’re experts in removing any type of vehicle; in fact, our services are unmatched. Aside from being TOP DOLLAR removal company, were also the greenest car removal Sydney company. Let’s show you how! Because we offer good money for buying our customer’s unwanted, accidental, rusted, used and even new cars, not all of them are scrap vehicles. In fact, some of these are hard to sell cars, while others are where owners have not time to sell them. Though we don’t resell the vehicles we buy, we do recycle them, reuse them and resell their parts. We also have a team of the largest and some of the best scrap yards in Sydney, and the industry’s expert auto dismantlers who go to work as soon as we bring in any vehicle. They begin with stripping the vehicle of all its scrap components and parts and continue until it is reduced to a bare shell. Once all the parts and components are out, we then crush and press the car, making scrap metal from its frame. We then, reuse, recycle, and resell some of the parts, components and scrap metal of the vehicle, which is why we can offer you TOP DOLLAR on even the most useless piece of junk! 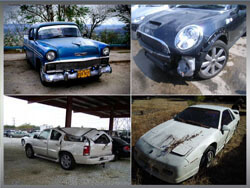 Interested in free, no obligation top dollar quote worth up to $7,000 on your junk car in Sydney? Just give us a call on eh numbers listed below or get in touch with us online by filling up an online quote form listed on our website. Our removal team will be there at your place as soon as this afternoon, and before they leave, they will hand over the quoted cash in your hand! It’s as simple as that. Enquire online today for Cash Paid For Unwanted Cars up to $7000.